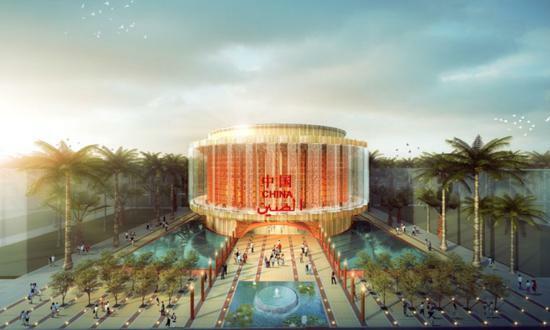 The China Council for the Promotion of International Trade (CCPIT) unveiled the architectural design of the China Pavilion at the World Expo 2020 in Dubai on Tuesday. Crossing over the Puqian Bay in the northeastern part of China’s Hainan province, Puqian Bridge is built over seismic faults, with the highest level of seismic resistance fortification and the highest level of designed wind speed in China. 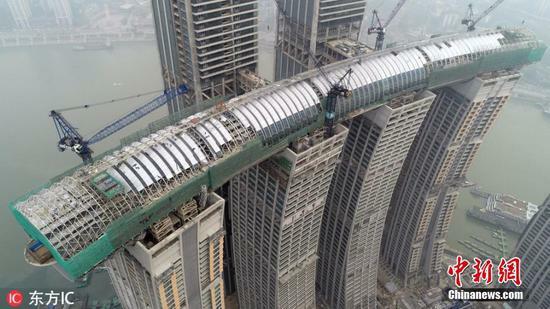 Four of the enormous structures are linked by The Crystal - a 32.5-meter-wide, 26.5-meter-tall "horizontal skyscraper", 250 meters above the ground, which accommodates a viewing deck, an infinity pool, a sky-walk and varied dining options. 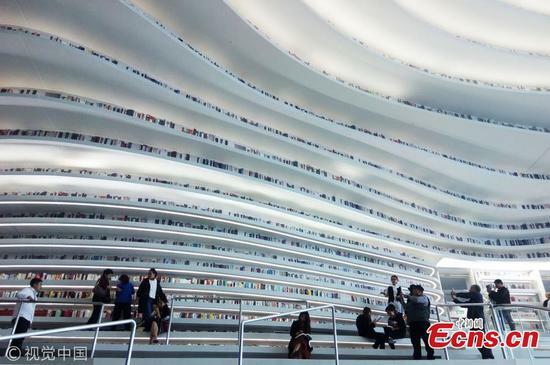 People visit Zhongchuang Bookstore in Harbin, Heilongjiang Province, Feb. 24, 2019. The bookstore has become a new favorite hangout for book lovers. 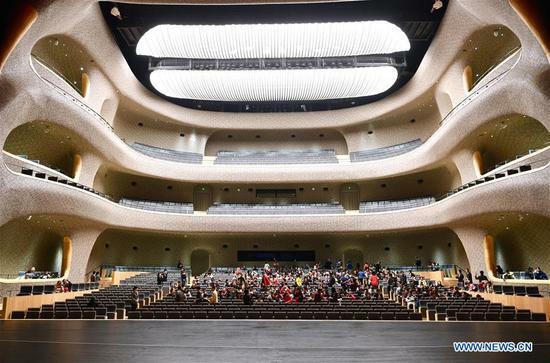 Citizens visit the opera theater of the Fuzhou Strait Cultural Art Center in Fuzhou, southeast China's Fujian Province, Dec. 16, 2018. 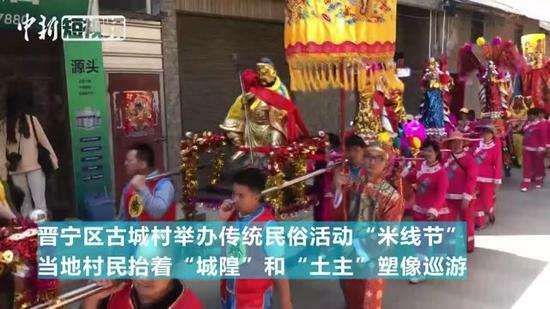 The center held open day activities on Sunday. 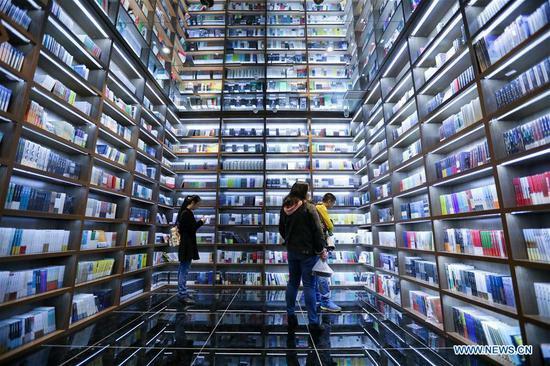 Readers browse at a bookstore named Zhongshuge in Guanshanhu District of Guiyang, southwest China's Guizhou Province, Oct. 28, 2018. The design of the bookstore Zhongshuge is inspired by the unique karst landform in Guizhou. 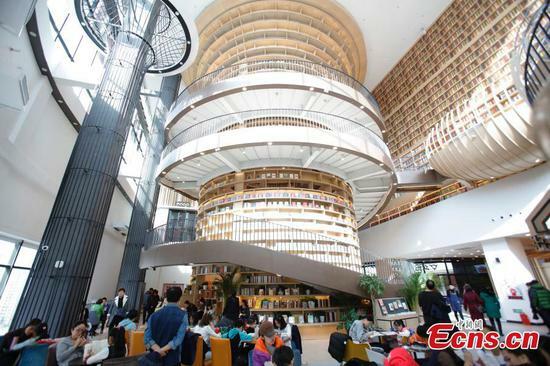 A newly built library of Taiyuan Normal University has been attracting much attention from the students since its being put into use recently in Taiyuan, capital city of North China's Shanxi Province. Architecture, a reflection of the beauty and trends of an era, is constantly changing. 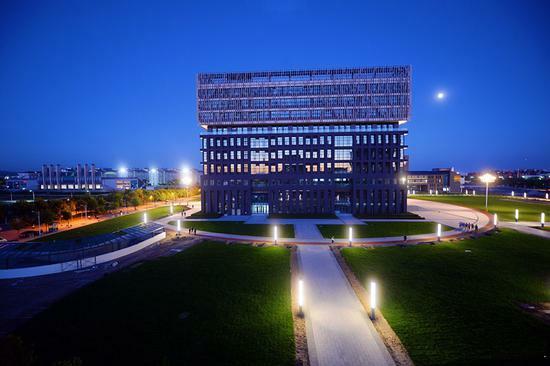 With the development of modern technology and concepts, China in recent years has been making a name for itself on the world stage with its modern buildings. 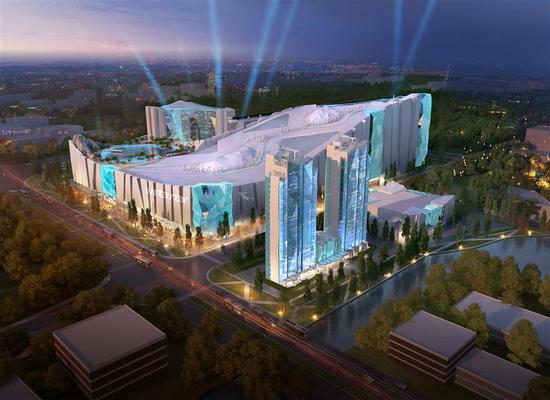 A spectacular indoor ski resort is set to open in Lingang on the coast of the Pudong New Area in 2022 as part of the celebrations for the 24th Winter Olympics in Beijing.